Homes for sale in Arden-Arcade a neighborhood with a good sense of community. There are little clusters of neighborhoods, each with a good sense of community, and, Arden Arcade has its own unique personality with home-grown businesses. Several neighborhoods have special events. Arden Park offers concerts and movies, and the Del Paso Manor Homeowners Association has an ice cream social, inviting representatives of the Sacramento County Sheriff’s Department and other county services. People like Arden Arcade because of the good resale value of homes and the excellent neighborhoods. 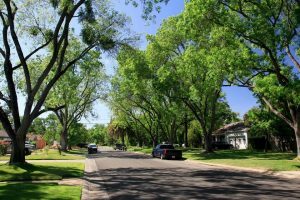 It is near recreational spots such as the American River Parkway, Rio del Oro Racquet Club and Del Norte Club, Haggin Oaks and Del Paso Country Club golf courses. Shopping also is convenient. Pavilions, Loehmann’s Plaza, Town and Country Village and Taylor Center each offer a selection of specialty shops, restaurants and services. And there are many churches, as in other established communities. Have More Questions About Arden-Arcade, CA?